AT&T announced today that it's putting an end to its traditional mobile plans for new subscribers on the network, and that all new customers will be funneled in to the company's Mobile Share options starting October 25th. While Verizon made its shared plans mandatory for new subscribers right from the get go last summer, AT&T's Mobile Share plans - launched last August - have remained optional for those making the move to Ma Bell. Many speculated that this flexibility would eventually come to an end, though, as after all - people could be saving money by using the old plans (I know I do!). The Mobile Share plans offer pricing tiers for data at 300MB, 1GB, 2GB, 4GB, 6GB, 10GB, 15GB, 20GB, and 30GB. Unlike Verizon, the pricing per device on the plan actually varies by how much data you elect to purchase (it goes down as your data goes up), which might actually save multi-line subscribers money, especially if they're on an existing tiered data plan. Individual subscribers, though, should probably hold onto their old plans for dear life, as the 2GB Mobile Share plan comes out to $95 a month for a single smartphone user. Ouch (though admittedly $5 less than a comparable Verizon plan). Bring it up to 4GB and you're looking at $110. The plans do include unlimited calls and texting, though it's not like most people use the former all that much anymore, and the latter shouldn't cost anything to begin with. AT&T does take a jab at Verizon when it comes to handset upgrades in its statement on the change, promising that existing customers will not be forced to switch plans when upgrading their devices. 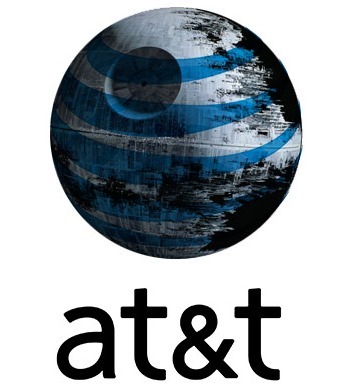 For more, check out AT&T's press release, here.